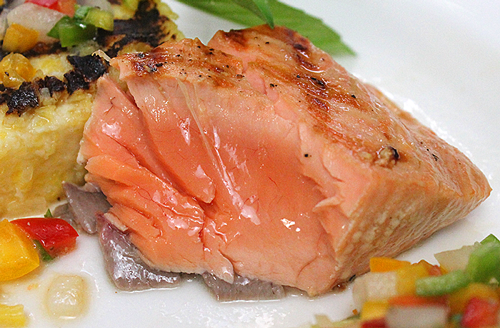 The hype: There’s all kinds of hype out there about the wonders of the paleolithic diet. Every day it seems like someone has a new twist on it, and as with all things, there are traditional dictocrats who bash it because it doesn’t fit the current model and there are skeptics of tradition who praise it because of – well, lots of reasons apparently. Being a bit of a born skeptic myself, I have looked at both sides of the Paleolithic equation, and being a naturopathic doctor who has extensively studied and specializes in nutrition, it was inevitable that I would feel the need to weigh in on this debate. The individual: Here’s the first and most important point – people can have very different nutritional needs, based on multiple factors. No single diet plan fits every person. While there are basics of human nutrition that apply to all of us, genetics and lifestyle play a big role in the needs of each individual. Nutrition, stress and toxins: Fully evaluating the nutrition of a patient requires consideration of their unique personal history. This includes three primary elements – nutritional status, stress levels and toxic exposures during each of four life phases. The first phase actually begins with the parents, in the immediate 6-12 months prior to conception of the new baby. The next phase of course, is gestation and the mother’s nourishment/health during pregnancy is paramount here. The third phase is the developmental years of childhood and the final fourth phase, adulthood. Clinical realities: From a holistic perspective, we should be doing everything we can as a society, to control the variables associated with the first three phases so that everyone gets the best chance to age in a healthy way past 100 years. But for most primary care doctors, including me – the majority of our patients present as older adults with some sort of chronic illness already established. This is when it can be useful to perform tests to determine if there are deficiencies in nutrition, although in many cases, the patient’s initial presentation can lead us clearly to a strong suspicion or even a diagnosis. For example, patients commonly present in their fifties with signs and symptoms of cardiovascular disease already established – high blood pressure may be the first hint that there are deficiencies or excesses in nutrition that need to be addressed. Quite often, the correction is very simple. 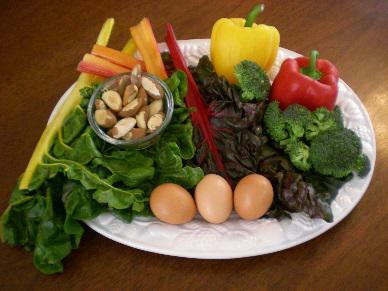 Most Americans simply do not eat enough vegetables, fruits, nuts and seeds. And the vast majority do not get enough exercise. Processed grains: But wait, what about grains? Therein lies the rub for many folks. I tell my patients that if they are at a healthy weight, with a BMI (body mass index) under 25, whole grains can be enjoyed in small amounts, if properly prepared… this means soaking or sprouting first, which is another discussion. But for patients that are struggling with weight and therefore, probably cardiovascular issues, simple carbohydrates like processed flour, sugar and white rice are generally the culprit, not only for their weight problems but also for multiple deficiencies in nutrition because these are calorie-dense and nutrient-poor foods that have no place in a healthy diet. So there it is – sorry if that sounds paleo, but it is true that our ancestors did not eat these foods. It is also true that we have a long ancestral history of consuming animal foods – (my apologies to the vegetarians among us) and that there are some nutrients, like good quality protein and iron, which are very hard to obtain in adequate amounts from a strictly plant based diet. There is a lot of evidence based research about nutrition available these days, but that knowledge base has not been well utilized by much of modern medicine and dietetics, and sorting through the hype can be challenging. If you have questions about diets or nutrition, consider a visit with a naturopathic doctor who is current on nutritional science. Dr. Ellen Sauter is a naturopath practicing general family medicine at The Benchmark Clinic of Integrative Medicine in NW Portland. She treats patients on Tuesdays, Wednesdays and Fridays, and can be reached at 503-223-7067.